Last week we had reported that the Metal Gear Solid 2, Metal Gear Solid 3 and Metal Gear Solid Peace Walker will be getting the HD treatment. Today we have the official word from Konami and some brand new screens from the three games. Please navigate through the images using the back-next buttons. Apologies for our ancient gallery system, the new one will be better. The METAL GEAR SOLID HD Collection will be released in November, and will comprise HD remastered versions of METAL GEAR SOLID 2: SONS OF LIBERTY, METAL GEAR SOLID 3: SNAKE EATER, and METAL GEAR SOLID: PEACE WALKER. It will mark the first time these legendary titles have been released for these formats, and will act as a stunning introduction to one of the most enduring video game series of all time. METAL GEAR mastermind and series creator Hideo Kojima is overseeing the updates for each title. The METAL GEAR SOLID HD Collection will be released on Blu-Ray disc for PlayStation 3 and across two DVDs for Xbox 360. In addition to the enhanced, high-definition visuals, all titles in the collection will support trophies and achievements, marking another first in the series! METAL GEAR SOLID 3: SNAKE EATER opens the set, with series hero Snake entering a Soviet jungle where intelligence reports a vital scientist is being held captive. Set in the 60s of the Cold War, SNAKE EATER sees Snake using his stealth abilities in a whole new locale – under the cover of the jungle foliage where various camo fatigues can be used to sneak into areas undiscovered. 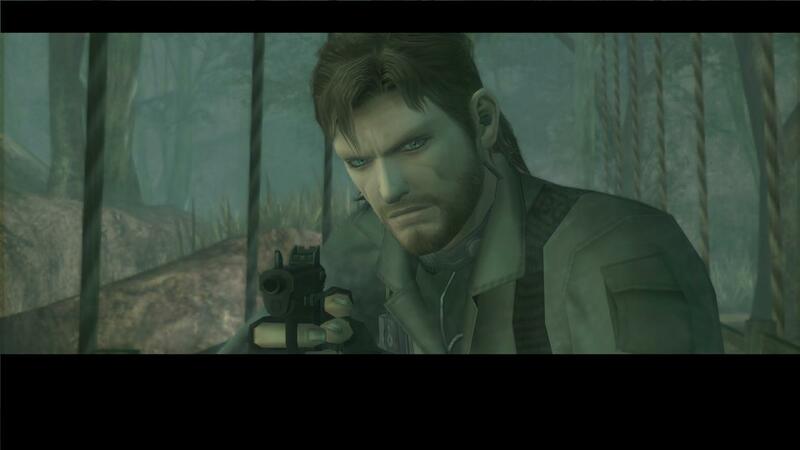 The riveting plot then reveals a familiar face from Snake’s past at its centre. METAL GEAR SOLID: PEACE WALKER takes place a decade later and details the operations of Big Boss in Costa Rica. The year is 1974, and Costa Rica has been overrun by an organization of highly-trained mercenaries. Working with a squad of neutral troops, Snake soon uncovers a CIA plot, and becomes embroiled in a mission to thwart a nuclear threat. The timeline then moves on to METAL GEAR SOLID 2: SONS OF LIBERTY, which is set in modern times and marks Raiden’s first appearance in the series. Solid Snake and Otacon receive intel that a new kind of METAL GEAR vehicle is being transported across the Hudson River. Snake infiltrates the tanker, which is then seized by a group of Russian mercenaries lead by Revolver Ocelot. Two years pass, and a new terrorist faction calling themselves The Sons of Liberty have taken over the Big Shell base. New Fox Hound operative, Raiden, is sent to investigate.